In the last few years, the use of technology has become prevalent in the pest management industry. From sensors to cameras to auto-generated reports, Killem’s strong partnerships with leading suppliers in Asia and internationally have ensured that we stay abreast with the latest industry development and technology. 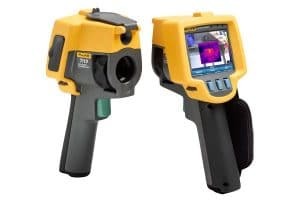 The Thermal Imaging Camera is used to locate subterranean termite activity in buildings and houses. This equipment can give our clients visible proof of subterranean termite infestation and a record for the degree of seriousness of the problem. Thermal imaging technology detects heat patterns. It can be used to detect subterranean termite activity because the presence of subterranean termites will change the normal heat patterns of the infested area. The coloured image from thermal imaging camera shows hot spots as red or yellow and cold spots as blue or purple. These heat patterns indicate subterranean termite infestation. The heat patterns emitted from subterranean termites are clearly visible through Thermal Imaging Camera. This is an essential tool which helps in pinpointing potential infested areas by subterranean termites. It enables us to quickly scan through large buildings and areas that are out of our reach. Most importantly, there is no radiation emitted or no chemicals used. Hence, this equipment is very environmentally friendly. The heat patterns of the structure will be recorded as images in the memory of the camera. These images can be downloaded at the end of the day to a computer and give a permanent record of the inspection. A comprehensive report will be provided after inspection. Images taken, explanation and results of inspection will be included in the report. Our clients will be able to see firsthand the full extent of the problem. 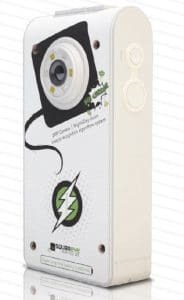 CO2 detector is designed to detect unusual levels of CO2 (carbon dioxide) emitted by termites. 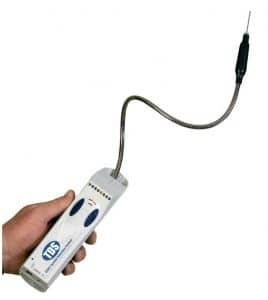 It is a technology used to probe into potential infested areas of termites. It is usually used in combination with a Thermal Imaging Camera to further confirm the presence of active subterranean termite activities when their existences are invisible to human eyes. TDS is a high sensitive CO2 detector. The accumulation of carbon dioxide by termites in a confined area can be detected by inserting the detection probe into the suspected area. The continuous sound released (nearly 10 seconds) by the alarm of the detector indicates that there is higher amount of CO2 in the inspected area. 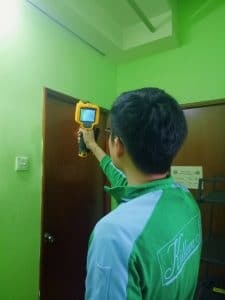 Occasionally, the abnormalities shown by Thermal Imaging Camera may be due to the defect of building structures such as leakage or seepage that induce dampness in the inspected area. Therefore, the use of TDS can help to verify the existence of subterranean termites, giving a more reliable detection result. TDS can be used not only for the detection of subterranean termites but also other destructive species of termites such as drywood termites. This species of termites are usually present inside and at the central zone of infested wood. Square Rat is a sensor-supported rodent trap that utilizes the Wi-Fi system to facilitate rodent management. It is an advanced snap trap that uses communication systems to alert Pest Control Operators (PCOs) when there is a rodent caught by the trap. This rodent trap is easy to set up as long as there is Wi-Fi. Bait formulated with more than 15 human food-grade ingredients will be introduced on the trap to attract rodents to feed on, thus triggering the trap. The triggered trap will create an immediate real-time alert to our PCOs through their mobile phone so that they can take immediate action and dispose of the caught rodent carcass. This can help to avoid unpleasant smells released by dead rodent bodies after a period of trapping time. This trapping system is simple to install and is activated by using just a single button click. It has remote control ability via internal or mobile phone. Multiple traps can be installed on site. Auto-generated statistical data and graphic GPS location of all traps will be shown on the online dashboard. A comprehensive report will also be provided at the end of the program. This report includes the number of rodents caught, trend of rodent infestation at different time intervals, explanation and the progress of the program. 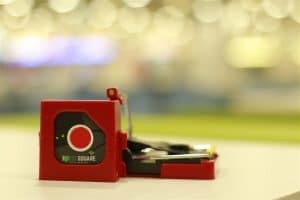 Square Eye is a digital pest control device that allows us to identify, monitor, capture and record rodent issues. It is usually utilized with IPM Square Rat to enhance rodent management. Rodent management using IPM Square Eye mainly targets the nesting site of rodents in the heavy inspected areas. It is an integrated multi-sensor device equipped with 7 high quality sensors for operation. These sensors have the ability to detect and recognize the presence of rodents, their motion and even the reaction of IPM Square Rat. The remote snapshots are controllable by the user, which means photos can be taken at any given moment. The device can be used indoors or outdoors. Its dual storage ability also ensures data storage security even off-line. Hence, when the device loses connection, the photos and videos will not be lost. Auto-generated statistical data such as activity, time, and location will be shown on the online dashboard. Clients can access the information at any time by using the dashboard and Wi-Fi connected mobile phone. A comprehensive report will be provided at the end of the program. This report includes the level of rodent infestation at different time intervals, potential entry points, breeding areas, explanation and the progress of the program. In fact, the most heavily infested areas do not have proper rodent proofing systems in the building. Rodents invade the building through cracks on the wall, gaps around pipe works, non-screening windows, doors, and gully traps with no proper valve to exclude them. With the use of IPM Square Eye, we can monitor and target their nesting areas by examining the photos and videos recorded. From there on, we will be able to keep track of the rodent activities by knowing their way of intrusion. 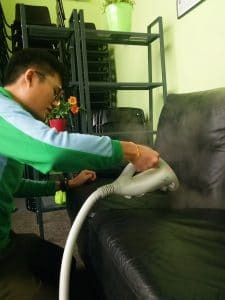 Increasing cases of bed bug infestations in Singapore have required us to source for safe and green technology devices to kill and get rid of bed bugs. 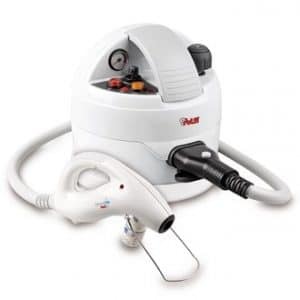 Polti Basic has been proven to be effective in the elimination of bed bugs by using superheated dry steam. A conventional steam generator is built inside the machine. Water boils inside the generator and will be heated at the delivery nozzle, up to a maximum temperature of 180°C. 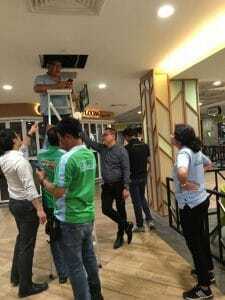 The vaporised steam from the delivery nozzle will be operated by a trained pest control operator who will release the steam to the affected area. All bed bugs stages including eggs can be killed by heat higher than 60°C. The generated 180°C dry steam is more than enough to kill them. Furthermore, the heat generated not only targets bed bugs but it is also able to get rid of other pests such as mites, fleas and ticks at the treated areas. With the increasing awareness and care towards the environment, green products have become the chosen approach in the pest management industry. 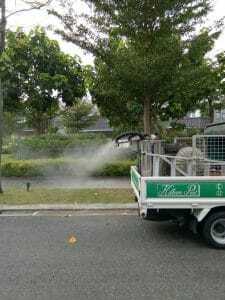 Killem Pest is one of the few pest control companies in Singapore that uses the vehicle mounted fogger. This fogger is a big version of the common hand-carried fogger and has a higher performance because of its faster application rate. 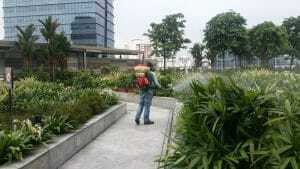 It mainly targets flying insects such as mosquitoes and flies. Just like the hand-carried fogger, this machine runs by heating mixed solution with gasoline from the combustion chamber. The insecticide will be pumped via a delivery valve and injected to the fog head or nozzle. From there, insecticide liquid will be vaporized into hot gas and released into the target places. Vehicle mounted fogger basically have the same function and preparation procedure as common hand carried fogger. The differences are: constant and faster application rate, contains bigger volume of insecticide and is able to cover larger areas. The dense fog created can last longer and is able to penetrate into unreachable or inaccessible spaces. A delivery rate of 10ℓ/min can be achieved by using this large machine. This vehicle mounted fogger will be the perfect solution for large-scale pest or vector control programs. This large vehicle mounted mister is a motor driven ULV unit that targets flying insects, especially mosquito species. The four shock absorbers were featured in this design to be mounted on a vehicle or truck. Vehicle mounted mister sprays fine mist (containing small amount of insecticide) into the air in order to target flying insects. 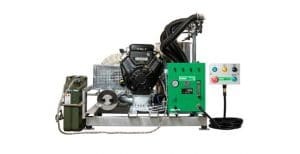 The gasoline driven engine was used to pressure and force the formulation from the insecticide container to produce the high volume insecticide mists through the nozzles. The application of this vehicle mounted mister can be at a very high speed. The normal hand-carried mister has the same function as the vehicle mounted mister. However, vehicle mounted mister provides a better application. The adjustable aerosol nozzles allow a better variation of misting direction and ensure wider distribution of insecticides towards the treated areas. Similar to the vehicle mounted fogger, the presence of four aerosol nozzles ensures large-scale pest or vector control.